Art transforms lives. Clay – with its extremely receptive, expressive and therapeutic qualities – is the vehicle we use to provide access to the arts. 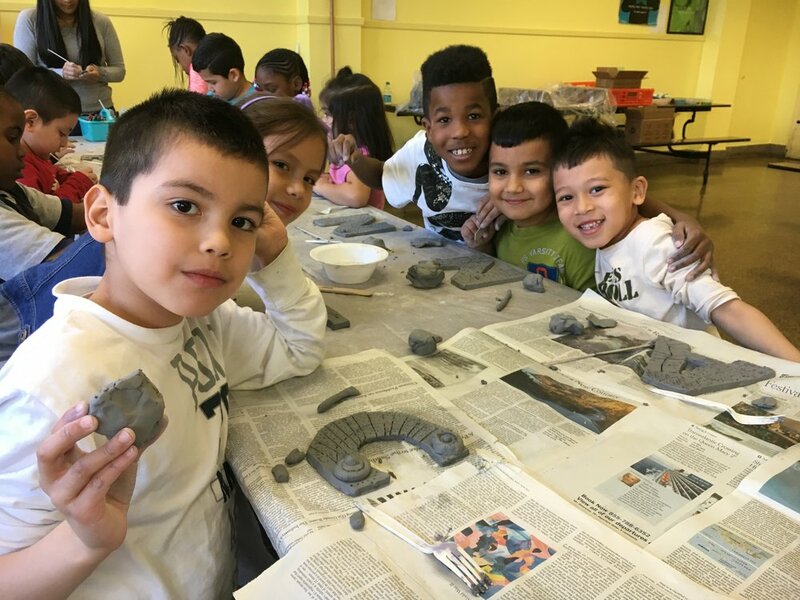 We created our Community Arts Outreach Program to put clay into the hands of those who need it most, and would not otherwise have access to the arts. Students of all ages benefit from scholarships, intergenerational workshops, after school programs, internships and the chance to creatively express their inner world. Therapeutic clay experiences for the developmentally disabled, those living with cancer, Alzheimer’s, autism and mental illness. Projects that beautify unused spaces and involve community members in creating art. Thanks to the support of our donors, our programs reach out to our community’s most vulnerable youth, teens, seniors, and those with special needs, and help them come together to learn, to create and to leave their stories behind for the next generation. Your donation can provide a child with a life-changing opportunity to experience the arts. Do you know an underserved child or teen who could benefit from classes or camp at CAC? Volunteers keep CAC running. Find out how you can help.